See what everyone got up to inside the O2 Arena at this year's BRIT Awards. 1. 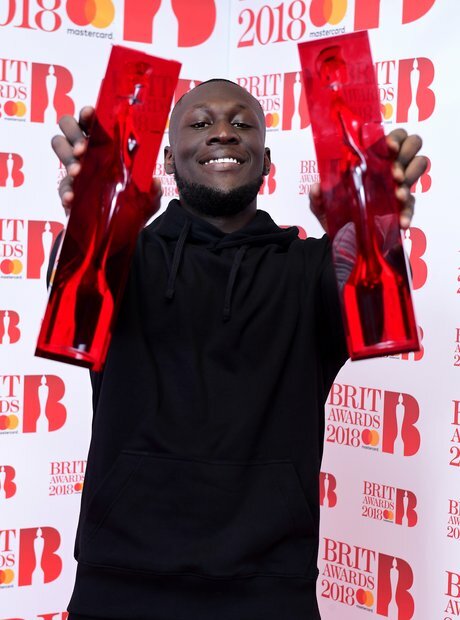 Stormzy picked up not one, but TWO BRIT Awards. 2. The night's presenter Jack Whitehall did a 'Man's Not Hot' skit at he entered the BRITs stage. 3. Stormzy picked up the award for 'British Male Solo Artist'! 4. And he looked blessed. 5. Kendrick Lamar picked up the award for 'nternational Male Solo Artist'. 6. K. Dot went on to perform at the show, although most of it was muted. 7. Ed Sheeran did an emotional performance of 'Supermarket Flowers'. 8. Ed Sheeran won the BRITs Global Success Award.